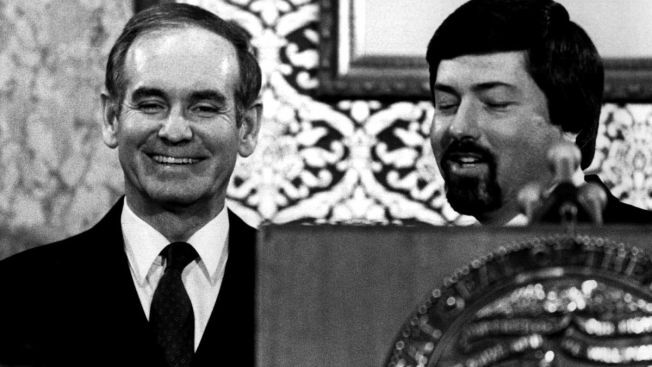 In a Jan. 12, 1982 file photo, Iowa Governor Robert Ray, left, enjoys a light moment at the Statehouse podium with Lt. Governor Terry Branstad after the Condition of the State speech. Former longtime Iowa Gov. Robert D. Ray, who helped thousands of Vietnam War refugees relocate to the state and defined Iowa’s GOP politics for years, died Sunday, July 8, 2018, according to Ray’s former chief of staff David Oman. He was 89. Former longtime Iowa Gov. Robert D. Ray, who helped thousands of Vietnam War refugees relocate to the state and defined Iowa's GOP politics for years, has died. He was 89. Ray's former chief of staff David Oman said Ray died Sunday at a nursing home. He said Ray battled Parkinson's disease for several years. Ray was elected governor in 1968, after helping rebuild the Iowa Republican Party following devastating national GOP losses in 1964. 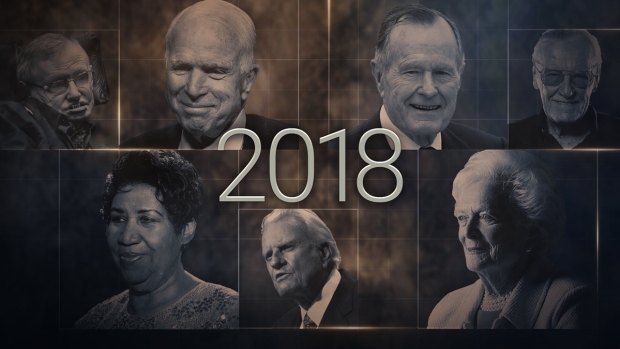 Ray never faced a serious election challenge during his 14 years as governor. In 2011, Ray told The Associated Press he was especially proud of his work helping Vietnam refugees resettle in Iowa. That began in 1975, and Iowa became one of the largest resettlement locations in the U.S.
Ray said his approach to governing was simple: decide what's right, then figure out how to promote it.